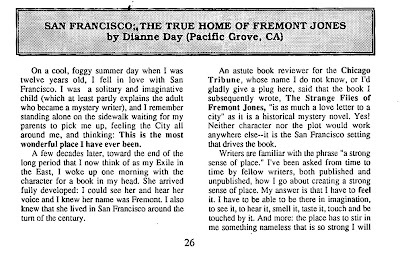 I was so sad to learn that Dianne Day, author of the award winning Fremont Jones historical San Francisco mystery series, passed away last week. 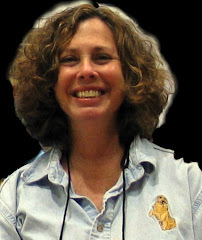 I really enjoyed her books, and I especially enjoyed our talks over the years. 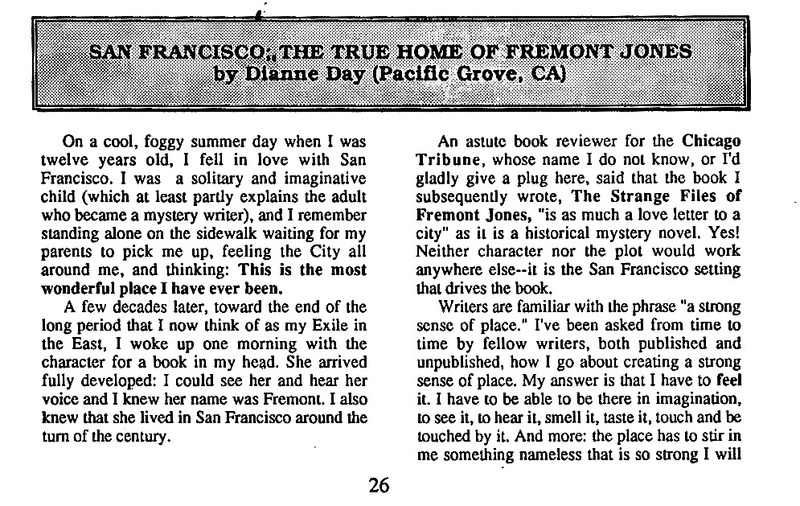 Mystery Readers Journal has had several issues devoted to San Francisco Mysteries, and Dianne Day contributed to the Author! Author! section of the earliest: Volume 11, No. 2 in Summer 1995. I thought I'd post the article as it appeared then. Sorry for the poor quality. Need to figure out how to scan to print. I think if you click on it, it will get bigger. This makes me so sad. Back when I was fairly new to DorothyL, she was the first author I ever got a personal email from. I had no idea she'd passed away. 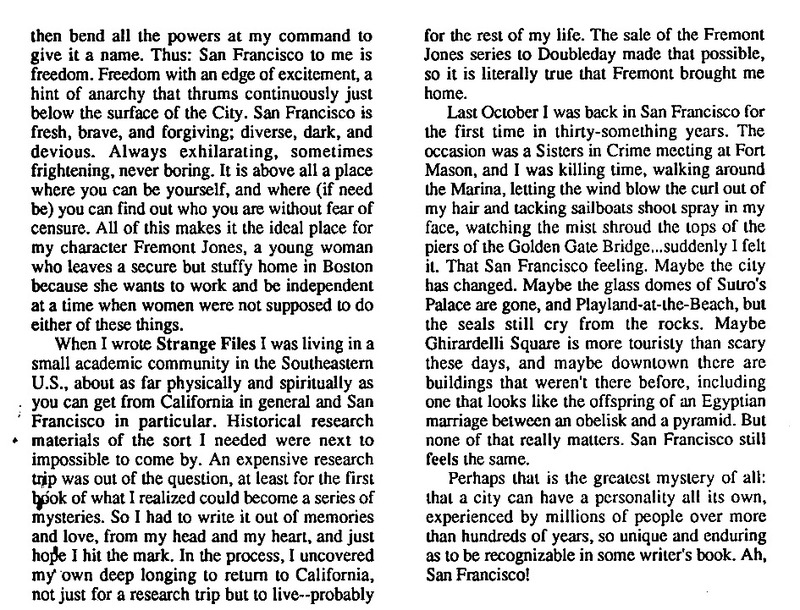 She was a great writer and Fremont Jones a terrific female protagonist. I had just discovered her books and was looking for more when I came upon this sad news. 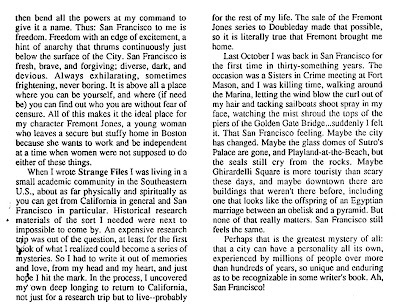 I have started the Fremont Jones series, but I will hungrily read everything she wrote. So sorry I missed knowing her. I share her love of both Boston and San Francisco, have lived in both and so enjoy her stories and her heroine.